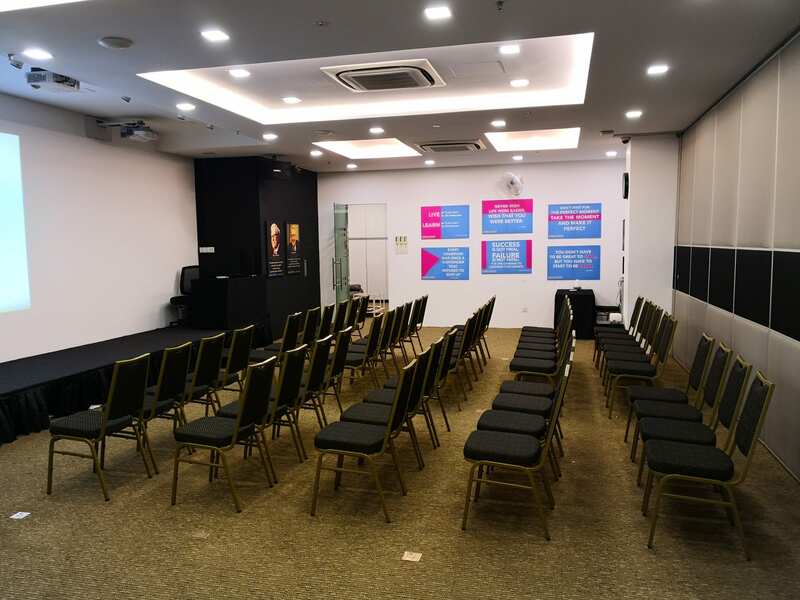 We are located along Jalan Universiti in Petaling Jaya, with easy access from any area in within Klang Valley. 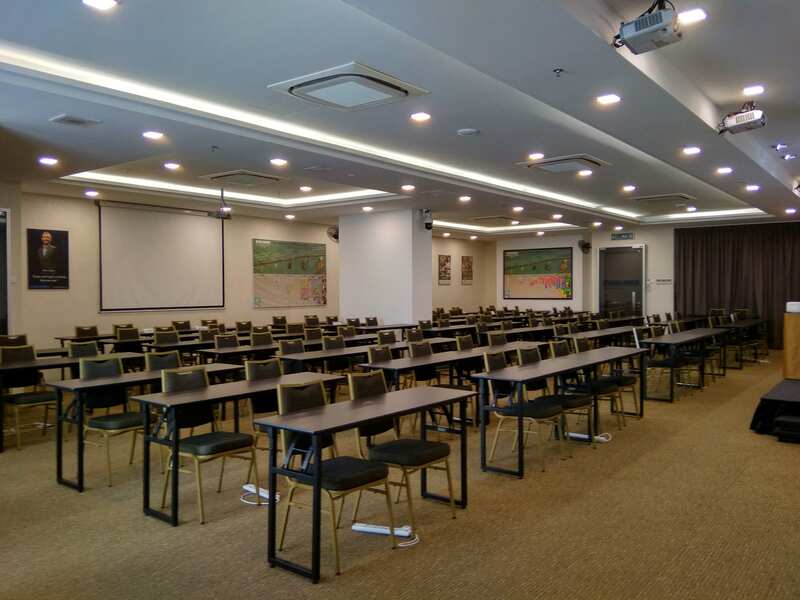 Each of our training room is fully equipped with high speed internet and high quality audio and visual systems. 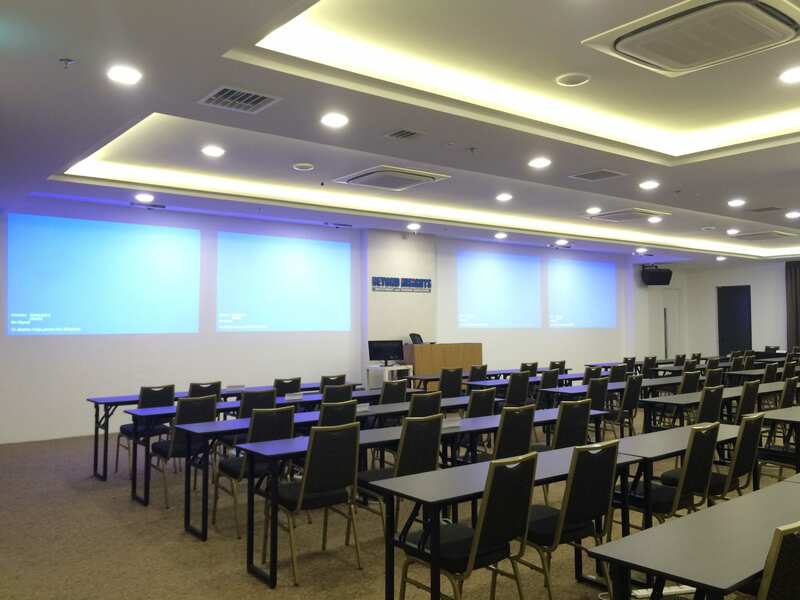 We conduct professional courses and seminars here in our training rooms at least 3 to 4 times a month. 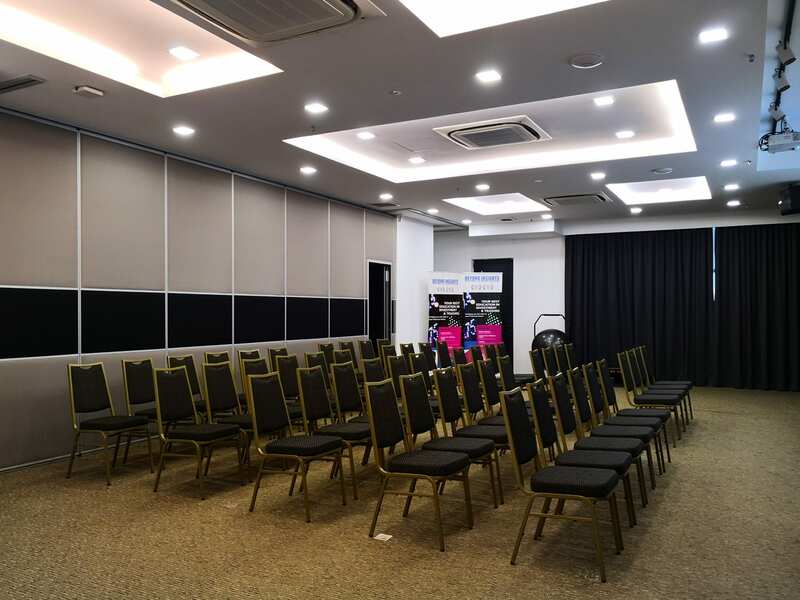 Choose one of the 2 rooms according to your space requirement and number of attendees. *Rates are applicable for rental within the standard operating hours of 9am to 6pm (both weekdays and weekends). Additional charges apply for rental outside of standard operating hours – please let us know your requirements. We include the following items when you rent our meeting / training room so you don’t have to worry about organizing it yourself. Complimentary use of 1 flip chart and marker pens. Complimentary use of LCD projectors with the screen. Complimentary use of internet via WiFi (that can support maximum of 100 users). Complimentary use of the sound system with 2 cordless microphones. Complimentary free flow drinking water. Complimentary Instant Coffee & Tea. Call us on 03-74902111 during office hours (10am – 6pm Monday to Friday) or email us at enquiry@beyondinsights.net, let us know your meeting/training requirement and we will respond to you within the next business day. Our center is located in Jaya One – a well planned commercial center now home to many popular restaurants, shops, educational centers and many other amenities. Your attendees will be spoilt for choices when it comes to food and beverage outlets for a nice lunch / dinner / tea break. There are also 24-hour security and ample parking bays. More details about the location and direction here.